With the earth at the brink of a major environmental crisis, it’s time to consider doing a little in our lives to change a lot in our world. One big bag of rice uses less plastic than four smaller ones so consider purchasing bulk quantities of food such as cereal, pasta and nuts. When baking, invest in some metal and ceramic baking trays that you can re-use, instead of using disposable aluminium tins every time you bake a cake. When shopping, look for products with minimal or no packaging. If there is packaging then make sure it is made from recycled items. This means buying loose fruit and vegetables instead of ones wrapped in a packet. Be sure to recycle any paper, plastic or cardboard packaging when you’re finished with it. Buy a KeepCup. 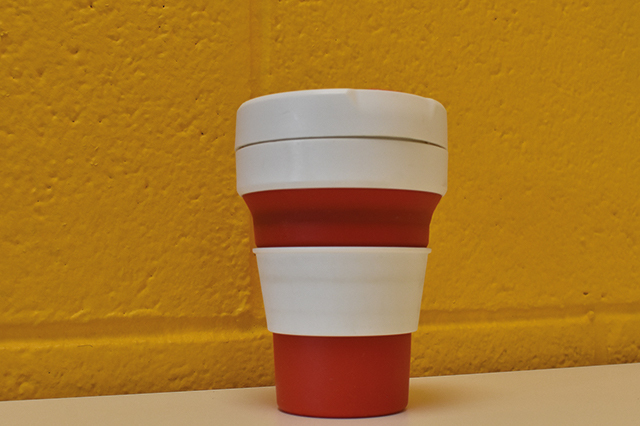 Globally, KeepCup estimates that their users avoid more than 5 million disposable cups daily. Every minute around the world, one million disposable cups are used and discarded. Use stainless steel straws, as they are perfectly safe to use and are BPA free. BPA stands for bisphenol A, which is an industrial chemical added to many products including plastic food containers and water bottles. If a person were to use a plastic straw every day for the next ten years, there would be 3,650 straws worth of landfill. Data from Ocean Conservancy’s TIDES system shows that straws/stirrers are the 11th most found ocean trash in cleanups, which makes up about 3% of recovered rubbish. Katie Archer from the Sustainable Living Society in DCU said, “I think for people to be aware of changes they can or should make, they need to be aware of problems that those changes address. Images of turtles caught in plastic don’t provide a solution so awareness of the problem isn’t effective without proper awareness of a solution”. “There are loads of things people can do to encourage policy change, shop and drop at your local supermarket or visit refill shops. Learn how and what to recycle”, she added. Shampoo bars aren’t bottled and can last up to 80 washes, which means that they outlast two to three bottles of shampoo. They are great for travelling with, as there is no worry about any potential spillage or liquid restrictions. Consider carpooling, using public transport or walking whenever possible to reduce pollution and also the inhalation of polluted air. Have shorter showers and don’t leave the tap running when brushing your teeth. You’d be surprised just how much you’re helping the environment when you make these small changes.